South Australia, 1919. Ross Grant has always felt like an outsider. The black sheep of his wealthy Scottish family, he is an explorer by nature, and dreams of a different life on Waybell, the family’s remote cattle station in the Northern Territory. A life where he calls the shots, no longer constrained by the expectations of his interfering parents. A place where he can roam free, and live off the land. His dream is shattered when Ross’s brother Alistair goes missing during the Great War and is labelled a ‘deserter.’ (At the time, there was no greater shame, unless you were labelled a ‘pacifist’). In a desperate attempt to save the family’s now tarnished name, Ross is forced into marrying Darcey Thomas, his brother’s English fiancé, whom he has never met. This is the final straw for Ross. Mere hours after the wedding ceremony, disgusted by his family’s selfishness and obsession with status, he makes his way to Waybell with no plans of returning – ever. Carrying nothing more than his hope of carving out his own empire in the far north along with ‘a bit of flour and salted mutton. His rifle and swag,’ Ross ventures into the unknown, no longer weighed down by the burden of his family’s expectations and plans. But Ross’s journey isn’t as smooth as he had hoped, for his new wife, Darcey, isn’t the type of woman to accept abandonment. Determined to be his wife in more than just name, she follows him to Waybell. To complicate matters even more, Ross encounters Maria, a young woman who will change the course of his life. Suddenly, Ross finds himself torn between two women, whilst also trying to navigate the harsh Australian outback that will both captivate and test him, pushing him to the very edge. Stone Country is a compelling tale of the burden of duty, rivalry, mate-ship, betrayal and of the far-reaching ramifications of a loveless childhood. 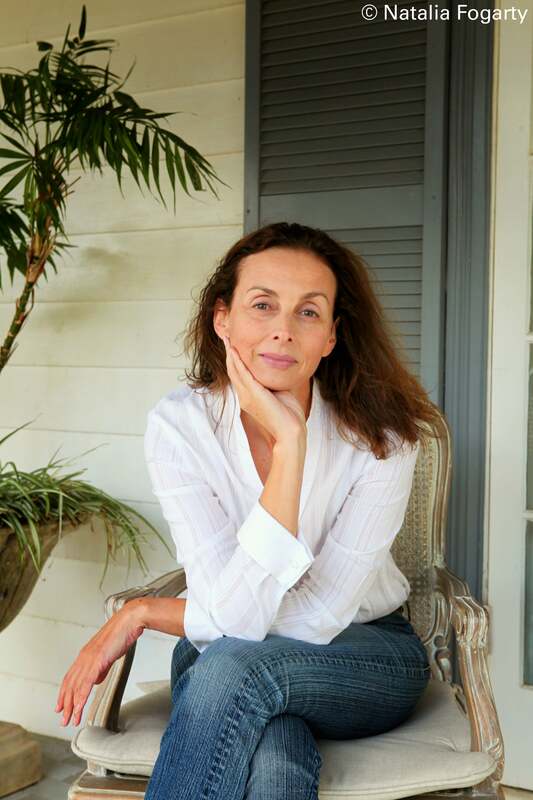 Taking readers from the red dirt of mid-north South Australia to the cattle stations and buffalo plains of the far north, Nicole Alexander, herself a fourth generation grazier, has painted a picture of rural Australia that is both wildly beautiful and harshly unforgiving. 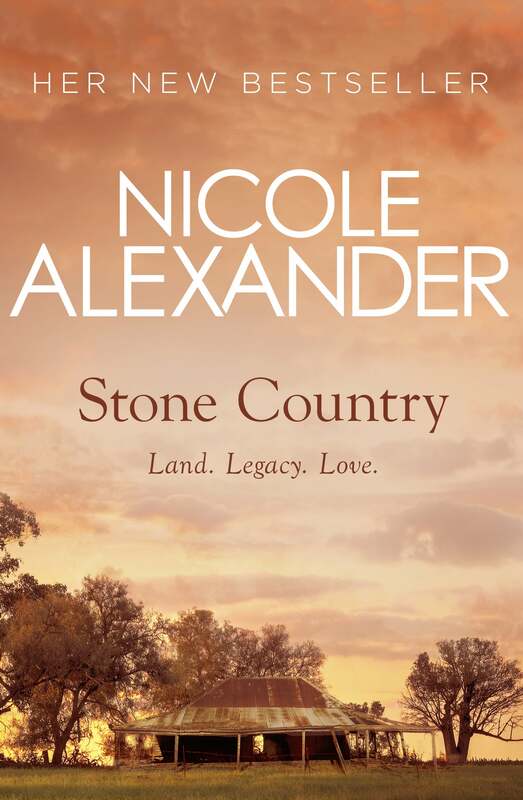 Alexander’s first-hand knowledge of the land and the sweat, blood and tears – and resilience – required by those who choose to make it their home, shines through in Stone Country. Stone Country is a gripping emotional journey set against the Australian landscape so vivid and visceral, that you feel as if you are there, surrounded by the blood-red dirt in the searing sun. Fans of sweeping historical fiction, outback adventure and family drama, will love every minute of it. A fourth-generation grazier, Nicole returned to her family’s property in the early 1990s. She is currently the business manager there. She is the author of eight novels: The Bark Cutters, A Changing Land, Absolution Creek, Sunset Ridge, The Great Plains, Wild Lands, River Run, An Uncommon Woman and Stone Country.